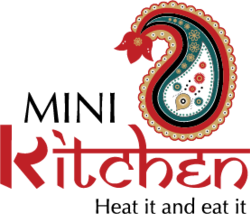 The Mini Kitchen journey started in October, 2012 in the home kitchen of Damini and Renu Mohan in Edmonton, Alberta. As a Mother-Daughter duo, their vision was to provide their customers with traditional Indian and fusion cuisine, cooked exactly the way they would cook at home for their family and friends. They pride themselves in providing products that are high in quality and nutrition. "We love food—spicy, delicious, and with a complexity of flavour that creates a burst of flavour and spices that hits you on the first bite and lingers until the last. Mini Kitchen flavours are authentic and ever so delightful. Our menu has something for everyone in your family. We take our love for food and combine it with what’s in season in Edmonton to create beautiful curries that warm your body and soul. Perfect for the crazy Edmonton weather we have!" When they started they were just a pop-up booth at one farmers’ market with only two different curries. Six years later, they have expanded the brand into several farmers’ markets and retail outlets with 10 different curries, two types of samosas and eight types of spices. One thing hasn’t changed—and that is the passion they put into every Mini Kitchen product. "We want to share our passion for good food, healthy eating, and fresh ingredients and encourage you to use our products to be creative in the way you cook. From our Mini Kitchen…to yours!" Made with an assortment of broccoli, cauliflower, onion, and potatoes in a chickpea batter.